Everyday American images of the war on terror—the legacy of 9/11: Government buildings surrounded by ugly concrete blocks. Pennsylvania Avenue, the street that the White House—once known as the "people's house"—faces, no longer open to traffic. ID cards required everywhere. Airline passengers waiting patiently in line to take off their shoes, belts, jewelry—and to have their bags searched and perhaps their bodies as well. Fans searched as they enter football stadiums. People on the watch for suspicious characters—including those who might take photos of bridges and tunnels. People fearing to retrieve lost bags in case they are booby trapped. Increased government surveillance of individual Americans, including their telephone calls overseas. 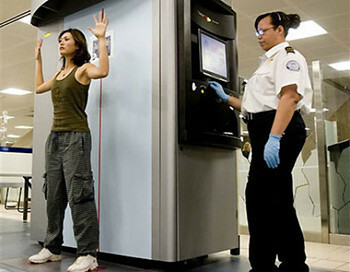 In the aftermath of the terrorist attacks of 9/11, Americans have had to adjust to a host of changes in their lives, from more and more intrusive searches at airports to concrete barriers in front of public places to government sanctioned surveillance of overseas telephone calls. Americans have become so inured to those inconveniences that they take them in stride. Economically, however, this impact has exceeded a trillion dollars if the cost of the wars in Afghanistan and Iraq is added to that of domestic security measures and the primary, secondary, and tertiary effects of the losses incurred on 9/11 itself. Prior to that date, the U.S. budget was in surplus; the national debt was declining. Ever since then, the debt has been climbing unceasingly while the budget has once again plunged into ever increasing deficits that have undermined the government's ability to provide for infrastructure modernization, for upgrading the nation's failing primary and secondary schools, and for the social security and health care expectations of its aging "baby boomer" population, the large cohort of Americans born soon after World War II. The years since the attack on the Twin Towers and the Pentagon have also resulted in major changes in U.S. national security strategy. Having previously focused on the emergence of a new "peer competitor" akin to the Soviet Union—many analysts assigned that role to China—Washington now assigned top priority, in deed if not in word, to combating terrorism. From a nation at peace at the dawn of the new millennium, the United States became a nation at war, fighting multiple wars from which it has yet to emerge. The enemy that the United States faced was one that differed markedly from those of years past, and, as a result, posed a series of new moral dilemmas for U.S. policymakers, especially in the matter of captured enemy combatants. With the exception of the Iraqi army, which was soundly and quickly defeated in March and April 2003, the forces opposing the United States consisted of irregulars for whom Western notions of the laws of war and international law generally were completely meaningless. On the other hand, the United States found itself under great pressure to apply those legal norms that were granted to uniformed prisoners of war. Washington became enmeshed in a ferocious debate over its ethical standards that evoked memories of the indignation over the 1968 My Lai massacre in Vietnam. While quick to acknowledge the outrages of the Abu Ghraib prison, once these were revealed in April 2004, many U.S. policymakers were far more divided over the appropriateness of maintaining an offshore prison at Guantánamo. In fact, even those like President Barack Obama, who sought to close the Guantánamo facility, found themselves unable to do so. U.S. legislators opposed the trial of captured terrorists on U.S. soil. At the same time, foreign critics of Guantánamo, of the long imprisonment of terrorists without trial, and of the establishment of military tribunals outside the usual U.S. system of justice were reluctant to take any of these prisoners for trial inside their own borders. There were some instances where the United States was able to house captured terrorists in the prisons of friendly states. The policy of renditions, which enabled Washington to avoid having to imprison all terrorists in Guantánamo, ran into trouble, however, in the face of allegations by human rights advocates that inmates were being subjected to torture in these secret prisons. Such allegations were also leveled at the United States and sparked a major debate over what constituted torture and what actions were within the bounds of the Geneva conventions. The debate has raged for almost as long as the wars in Afghanistan and Iraq and has been further fueled by the killing of Osama bin Laden, based on evidence of some terrorists who were subjected to measures that many observers described as torture. All in all, in the post-9/11 era, Washington has yet to find a balance between its security and intelligence requirements and the rights, or at least privileges, of those it has captured in the act of seeking to, or actually, doing it harm. The 9/11 Commission, mandated to explore the background to the attacks, recommended a major reorganization of the U.S. government to address what it perceived as shortcomings that enabled the terrorists to carry out their mission. Among the recommended changes, adopted by the Bush administration, was the creation of a new Department of Homeland Security that incorporated twenty-two separate agencies into an integrated whole with responsibility for all aspects of "defense of the homeland." Acting on the commission's recommendation, the Bush administration also created a new Office of the Director of National Intelligence to coordinate the many intelligence agencies that, according to the commission, had failed to coordinate their activities in a manner that might have enabled them to provide warnings to forestall the 9/11 attacks. Finally, the administration created a National Counter-Terrorism Center (NCTC) to support the efforts of the new national intelligence office. The wars in Afghanistan and Iraq have led the United States to expand its network of informal alliances while seeking ongoing support from long-standing allies and partners. During the Cold War, Washington had focused its attention and cooperative activities on at most thirty countries, including NATO, as well as Middle East, East Asian, and Australian partners. Africa south of the Sahara tended to receive short shrift; much of Latin America often merited little more than formulaic statements of U.S. interest. States in Southeast Asia, and sometimes even Japan, nominally close friends of the United States, would often complain of a lack of high level attention from Washington. In fact, the breakup of the Soviet Union had already expanded the bandwidth of U.S. concerns to include many of the former Soviet states, as well as the Balkans. Nevertheless, it was only with the onset of what the Bush administration labeled "the war on terror" that states big or small became the subject of intense U.S. attention since any state could be a possible host for terrorist operations unless it committed itself to fighting on the side of the West. President Bush made that plain when he issued challenge to the world in his September 20, 2001 speech to the Congress: "Either you are with us or you are with the terrorists." Virtually overnight, states such as those astride Africa or in central Asia became key cooperative actors in the war on terror. Indeed, the central Asian "stans" became critical nodes on the logistical supply chain from the United States to Afghanistan. At the same time, Washington searched worldwide for additional members of its "coalition of the willing" in the fight against the Taliban, and later, in the war in Iraq. By 2011, there were forty-nine countries participating in the NATO-led (but U.S.-commanded) International Security Assistance Force for Afghanistan. At its peak, the coalition working alongside the United States and the United Kingdom in Iraq totaled twenty-one countries, including Albania, Armenia, Bosnia, Estonia, Georgia, Kazakhstan, Macedonia, and Moldova, none of which had even existed as independent states during the Cold War. Afghanistan represented the first major NATO foray outside the continent of Europe (the Balkans were the first NATO operation outside its own boundaries) and set the precedent for its taking charge of the 2011 Libya operation. On the other hand, a number of NATO states either openly opposed or at least did not support the U.S. intervention in Iraq. Most prominent among these were France, Germany, and Canada. Their reluctance to assist the coalition underscored for many in the Bush administration the importance of focusing on new coalitions rather than traditional twentieth-century alliances. As Donald Rumsfeld famously put it, there was a difference between "old Europe"—long-time NATO member states who hesitated to support Operation Iraqi Freedom—and "new Europe"—the many former Soviet and eastern bloc states that enthusiastically joined the 2003 coalition. In addition to the NATO nay-sayers on Iraq, there were a number of other states that did not work overtly with the United States as it pursued its "war on terror," whether for reasons of their own or because Washington preferred to minimize their visibility. Israel provided a notable example of the latter circumstance. As had been the case during the 1991 Kuwait war, the United States preferred that Israel remain on the sidelines so as not to further enrage Muslim masses around the world. On the other hand, though Washington actively sought the support of Muslim states, a number of Arab governments normally friendly with Washington downplayed their support for U.S. wars, particularly against Iraq. Relations with India. Both sets of considerations affected Washington's relationship with New Delhi, which already had improved during Bill Clinton's presidency. India had suffered from terrorism far longer, and to a greater degree, than the United States; the "war on terror," therefore, added to the growing commonality of interests between the two democracies in matters of trade, technology, and military cooperation. Nevertheless, Washington was cool to New Delhi's desire to play a more active role in Afghanistan, out of deference to Pakistani concerns. At the same time, India was reluctant to accede to U.S. entreaties to send troops to the coalition in Iraq, requiring a special United Nations mandate, which was never forthcoming. India's ongoing purchases of gas and oil from Iran have further complicated the relationship between Washington and New Delhi. The changing role of Pakistan. The U.S. relationship with Pakistan represented another major outcome of 9/11. Prior to the attacks, the ties between the two countries could best be defined as strained. Beginning in the 1980s, Washington had imposed a series of sanctions against Islamabad, including those triggered by the Pressler amendment when Pakistan tested a nuclear weapon, freezing the sale of F-16s to Pakistan in 1993 although twenty-eight of the aircraft had already been completed and paid for. At the same time, as noted above, Washington began to develop a much closer relationship with Pakistan's arch rival India, despite the latter's having tested nuclear weapons as well. The 9/11 attacks prompted the Bush administration to reconsider its ties to Islamabad, which had been a strong supporter of the Taliban. Faced with the choice of being "with or against" the United States in its war with the Taliban, Pakistani president Pervez Musharraf chose to be with. But he argued that his forces, even if redeployed from the Indian border—which he considered a major risk—could not conduct operations against the Taliban unless these were funded by Washington. By December 2001, the Pentagon developed a reimbursement plan for Pakistan and within a few months, in a complete reversal of the atmosphere generated by the sanctions, funds began to flow to the Pakistani army. Islamabad redeployed some of its forces from the Indian border, and for the first time, launched operations with helicopters in the tribal areas. In addition, Washington began to employ drones in Pakistan's tribal areas since that country did not permit U.S. ground forces to operate in its territory. Despite the transfer of billions of dollars to the Pakistani military and the initiation in 2009 of a new multi-year, multi-billion dollar aid program as well, relations between Washington and Islamabad remained tainted by mutual suspicion verging on outright hostility. It was not merely a matter of Pakistani resentment of the ever increasing drone attacks inside its territory. Islamabad feared that a U.S. defeat of the Taliban would open the door for greater Indian influence in Kabul, resulting in a kind of encirclement of Pakistan. As early as 2002, the Pakistanis refused to let Indian relief trucks carrying food to transit their territory into Afghanistan, and vigorously protested the opening of two Indian consulates in Jalalabad and Kandahar the same year. As a result, while aiding the U.S.-led coalition in striking out at al-Qaeda units in Pakistan, Islamabad was far less assertive against the Taliban, to the point of distinguishing between the Afghan Taliban and its Pakistani counterpart, against which, after some hesitation, the Pakistani military lashed out in full force. In addition, Pakistan's Inter-Services Intelligence (ISI) organization nourished the Haqqani terror network,  which by the end of the decade had become the coalition's most potent opponent. Pakistani ambivalence toward the coalition's efforts in Afghanistan was matched by U.S. frustration with Islamabad. Washington's suspicions of Pakistani motives increased over time and were brought to a head with the Abottabad operation that killed bin Laden, who had been hiding in plain sight of Pakistan's military academy. On the other hand, U.S officials had not reached a second inflection point with Pakistan. Washington simply was not ready to reverse the sea-change in relations with that country that had taken place late in 2001; it continued to consider the relationship with Islamabad crucial to its success in Afghanistan. Turkey after 9/11. Like the Indians and the Israelis, the Turks have long suffered from terrorist attacks, in this case from the Kurdish Partiya Karkerên Kurdistan (PKK), based in northern Iraq. Turkey was an early member of the U.S.-led coalition in Afghanistan and continues to deploy its troops to that country. Nevertheless, in March 2003 and much to Washington's surprise, the Turkish parliament, dominated by the governing Justice and Development Party (AKP), refused to permit the transit of the U.S. 4th Infantry Division to Iraq, thereby obviating the possibility of an attack on that country from the north. Turkish-U.S. relations have remained somewhat strained, in part because of U.S., especially congressional, annoyance at Ankara's vocal attacks on Israel, its refusal to support U.S. sanctions against Iran, and its lifting of visa requirements for entrants from Syria and Libya. The "Tin Cup" challenge. In addition to seeking military support for its operations in Afghanistan and Iraq, Washington also sought material assistance for its forces, as well as economic aid for both countries once their governments had fallen in the face of coalition attacks. The Bush administration also entertained hopes for some reimbursement for its military operations, particularly in Iraq. These hopes were based on Washington's experience in the aftermath of Operation Desert Storm; they proved to be unrealistic. Desert Storm cost the United States just over $61 billion. Secretary of State James Baker's "Tin Cup" efforts in 1991-92 yielded $52 billion, including $36 billion from the Persian Gulf states, $10 billion from Japan, and $6.6 billion from Germany. In contrast, analogous fund raising exercises eleven years later amounted to a few tens of millions. Even coalition partners were notably reluctant to contribute cash to reimburse the United States or even to finance ongoing operations. Moreover, in many cases, Washington had to subsidize the deployment of coalition forces to the Iraqi theater since they could not pay for those deployments themselves. Washington's fundraising efforts for the postwar reconstruction of both Afghanistan and Iraq were more successful, at least in the immediate aftermath of those wars. The process that began with the December 2001 Bonn agreement, named after the city where the victorious coalition and the Afghans arranged for a new system of governance and planned for the country's reconstruction, yielded some $13 billion in international pledges of financial assistance; the United States contributed an additional $1.4 billion. Similarly, coalition partners, international financial institutions, and even other states who had opposed the Iraq operation, initially pledged more than $13 billion at the October 2003 Madrid conference for the reconstruction of Iraq, in addition to which the United States voted a total of $18.6 billion. Over time, however, U.S. expenditures on the reconstruction of both countries dwarfed those of all other states combined. Thus, instead of receiving billions of dollars to offset its costs, Washington began to spend tens of billions on Afghan and Iraqi reconstruction beyond those it had already incurred for its military operations. These costs, too, could ultimately be traced back to the events of 9/11. Iran: A major winner since 9/11. The U.S. military response to the 9/11 attacks did not initially intensify the hostility that already existed between Washington and Tehran. Herat and western Afghanistan were at times part of the Persian Empire and retain considerable Persian linguistic and cultural influences. Iran almost went to war with Pakistan over the Taliban's killing of Iranian diplomats in August 1998 and has supported the Hamid Karzai government with economic assistance, notably the rapid construction of the Herat-Dougan road. Tehran was also prepared to cooperate with Washington during the early years after 9/11, and in May 2003, danced around a potential "grand bargain" after the cessation of major hostilities in Iraq. In the end, cooperation in Afghanistan virtually ceased while the factional fighting in Iraq quickly pitted Iranian interests against those of the United States. With the emergence of a Shiite-led government in Baghdad, it is clear that Tehran now has more influence in that country than it has had in centuries. While it is unclear to what extent Iran will become even more influential after the withdrawal of U.S. forces by December 31, 2011, there is no doubt that the defeat of Saddam removed the major Sunni Arab bulwark against Iran and has facilitated the expansion of its influence in Syria and Lebanon, making it in many ways the real beneficiary of post 9/11 changes. Although the years since 9/11 have witnessed considerable changes in U.S. relations with other states, one of the attacks' more pronounced national security effects has been on the military, which has been engaged in nonstop combat that began three weeks after New York's Twin Towers and the Pentagon were hit by al-Qaeda terrorists. Prior to 9/11, the military had prided itself on its high-tech-driven speedy victory over Saddam Hussein in 1991 and its beating of Slobodan Milosevic into submission seven years later. The 1991 Kuwait war, Operation Desert Storm, was waged with Cold War legacy systems and operational doctrine. This AirLand battle conceptual framework called for deep air strikes behind enemy lines coordinated with highly maneuverable, armored forces that could smash through or around enemy formations. It was designed to offset massive Soviet forces arrayed across the inner German border. The conditions that presented themselves to the U.S.-led coalition fighting to liberate Kuwait were admirably suited to the AirLand battle. Saddam's forces were arrayed in a more or less linear fashion. Trained with Soviet equipment, they were a poor man's version of the Red Army. Iraq's cloudless skies were ideal for air operations while the flat terrain in Iraq's south and west seemed designed for the coalition's armor. Finally, though Iraq was situated half the world away from the United States, Desert Storm did not confront U.S. forces with a complicated logistical challenge. Fearing invasion itself, Saudi Arabia was an integral member of the coalition and became a willing host for Operation Desert Shield, the coalition's 7-month build up of forces in 1990-91 in preparation for the attack on Iraq. The U.S. foray into the Balkans did not call for ground forces, and its air operations as part of the anti-Serb coalition generally met with little resistance (though the Serbs did manage to down an F-117 stealth fighter and a small number of other fixed and rotary wing aircraft). U.S. and allied forces essentially bombed Serbia into submission, and NATO ground troops, including U.S. units, assumed a peacekeeping mission within three months of the start of the bombing campaign. There was, therefore, nothing in Washington's Balkan operation that called into question what had become its way of war: heavy reliance on expensive high technology weapons; land forces that emphasized speed and maneuver; and operational plans that forecast an enemy arrayed against a forward edge of battle that would have to be broken through or encircled. The wars in Afghanistan and Iraq changed all that. Had there been no 9/11, there would have been no U.S.-led coalition war in Afghanistan. That country had been at war for over two decades, first with the Soviet Union, then with itself. U.S. administrations had committed a small number of CIA advisors, as well as weapons, notably man-portable Stinger anti-air missiles, to the anti-Soviet mujahideen. Once the Soviets began to leave Afghanistan, Washington left that country to its fate, which meant endless conflict between warlords. Although Osama bin Laden had established his headquarters and training camps in Afghanistan, the Clinton administration went no further than to fire cruise missiles at al-Qaeda targets near Kandahar and Khost in August 1998. It was only because the Taliban government refused to turn over bin Laden and shut down these and other al-Qaeda training camps in the days immediately following 9/11 that the United States went to war. Even in its earliest days, the war in Afghanistan developed into a very different type of conflict than those with which U.S. forces were familiar. There was a line of battle of sorts since the Taliban ruled most of the country and had to be pushed out of it. But Afghanistan's rugged and mountainous terrain is inhospitable to armored formations as well as to artillery units, and the altitudes in large swathes of the country create difficulties even for heliborne operations. The primary U.S. military forces were, therefore, special operations forces. Indeed, the West became entranced with the image of these forces on horseback—a throwback to the era of cowboys and Indians. These forces did more than ride horses, however. They trained and helped coordinate the operations of the Afghan Northern Alliance, which provided the bulk of the forces that attacked the al-Qaeda and Taliban positions on the ground. In addition, U.S. forces, whether on horseback or in more modern modes of transport, utilized the most advanced technologies, most notably satellite communications and reconnaissance systems. These systems linked them to bombers that launched coordinated strikes against the Taliban. While thousands of conventional forces were brought into Afghanistan to support the special operation forces, it was the latter that was credited as the primary factor in the Taliban's rapid defeat. The coalition's air operations were considerably more conventional. As long as there were available targets, U.S. forces were able to employ attack aircraft to devastating effect. Air strikes were not only carried out by land-based attack aircraft, aircraft carriers also made significant contributions to the coalition's air operations. Often dismissed as white elephants and relics of a bygone era of major sea battles, the carriers proved their worth by supporting hundreds of F-18 sorties into landlocked Afghanistan. When a revived Taliban began to seize parts of that country's southern and eastern regions, Washington and its coalition partners increased the number of troops but retained their basic force mix. Light forces predominated, transported by helicopters or air force C-130s. Coalition infantry and U.S. Marines and special forces from several states bore the brunt of the coalition's operations. The AirLand battle doctrine was no more applicable to Operation Iraqi Freedom (2003) than it had been to Afghanistan. Once the initial fighting was over, the Iraqi army faded away in the face of the coalition's forces. There was no need for armor or artillery while the requirements for air strikes dropped sharply. When the conflict's aftermath did not produce stability but rather morphed into what became a sectarian civil war, Washington and its partners relied increasingly on infantry forces as well as on intelligence provided by special forces and unmanned aerial vehicles. On the other hand, armor and artillery became increasingly irrelevant to the task at hand. Toward a lighter, more flexible force. The switch to lighter units and the increasing emphasis on unmanned aerial vehicles (UAVs or drones as they are popularly known) began while Donald Rumsfeld was secretary of defense. Rumsfeld had preached "transformation" of the military prior to 9/11. He favored a lighter, more flexible army, arguing that the heavy armored forces that dominated the army were an artifact of the Cold War. For that reason as well, Rumsfeld also pushed for an increase in special operations force levels. Rumsfeld felt that the air force likewise reflected the requirements of the Cold War rather than the emerging security environment of the twenty-first century. For this reason, he advocated increased funding and numbers of unmanned aerial vehicles. Yet just as his proposals for a more flexible land force encountered fierce resistance from the army leadership, so did his stress on UAVs lead to passive foot dragging by the air force. The war in Afghanistan enabled him to force through increased funding for both special forces and UAVs, however. Unmanned aerial vehicles, their counterparts for operations under the sea (termed unmanned underwater vehicles, or UUVs), as well as robotics more generally, such as those employed to defuse improvised explosive devices (IEDs) are now evolving into an integral part of U.S. force structure. U.S. forces employ thousands of robots of various kinds in operations in Iraq and Afghanistan and are likely to expand their reliance on unmanned systems in the years to come. As two U.S. naval officers have recently asserted, "We want to be ready when more advanced systems come on line—and many of the technologies are already available." It is noteworthy that Rumsfeld ordered that a relatively small ground force be employed to carry out Operation Iraqi Freedom. For this, he was bitterly criticized when it became clear that efforts in Iraq would require a long-term commitment with increased troop levels. In fact, Rumsfeld had anticipated a rapid departure from Iraq with power returned to a post-Saddam local leadership. It was the creation of the Coalition Provisional Authority—essentially a U.S. operation—and its dismantlement of the Iraqi military and the country's Baathist bureaucratic structure, that resulted in the U.S. ensnarement in Iraq. In any event, the Iraq conflict afforded Rumsfeld yet another opportunity to demonstrate that his program was relevant to the kinds of conflicts against irregular forces that the United States was likely to face. When Robert Gates replaced Rumsfeld in late 2006, he laid even greater emphasis on the need to fund lighter, flexible forces as well as unmanned systems not only for intelligence, surveillance, and reconnaissance but also as strike systems, targeting terrorist leaders. The changing "total force": reserves and contractors. The post-9/11 wars transformed the role of U.S reserve forces from units that trained for a major war that few expected ever to take place to absorption in the active military's regimen of exhausting, multiple rotations in Afghanistan and Iraq. Reserve civil affairs, military police, engineering and other units became critical to the ongoing military effort in both states. In addition, due to the paucity of civil servants who were either able or willing to deploy overseas, reservists worked alongside the active forces in providing reconstruction support for both countries. In fact, reservists often took the lead in reconstruction, bringing to bear civilian skills such as agricultural expertise, in the highly dangerous environments that characterized both states. Contractors also became a major element in U.S. efforts to rebuild both Afghanistan and Iraq, in what has been erroneously termed "nation building" (it is actually state rebuilding). Since 9/11, the number of contractors engaged in everything from providing food and other logistics support to the military, to training local militaries, to assisting governments to establish their bureaucracies, dwarfed the efforts of contractors in previous wars. Overseeing the operations of these private companies has become a major challenge for U.S. officials: As the Commission on Wartime Contracting in Iraq and Afghanistan has demonstrated, Washington has spent about $200 billion on contractors and may have wasted tens of billions in the process. Like the reserve forces, it is anticipated that contractors will remain a critical element in all future U.S. military operations; the challenge facing Washington is how to integrate them properly into U.S. force posture. Organizational changes. In parallel with the Bush administration's other organizational changes, Rumsfeld implemented a number of key changes within the Department of Defense. He created a major, new four-star military command, the Northern Command, with primary responsibility for the military aspects of homeland defense. He also created a new office of the undersecretary of defense for intelligence, tasked with better coordination of both the department's own intelligence components as well as its activities within the new construct under the director of national intelligence. The post 9/11 world underscored the new threats that terrorists posed to the United States and the West. Motivated by Islam, utilizing cell phones and other relatively cheap technologies, terrorists were able to coordinate two types of attacks—those by suicide bombers and those from ever more lethal IEDs. The rash of IED attacks prompted the U.S. military first to undertake a rapid arming of its utility jeeps, known as HMMWVs, or Humvees, and, when that proved insufficient, to develop and acquire large numbers of mine-resistant ambush-protected (MRAP) vehicles. Neither the "up-armored" Humvees nor the MRAPs were anticipated, much less acquired, prior to 9/11. In the years since 9/11, al-Qaeda has spawned a number of offshoots, particularly al-Qaeda in the Arabian Peninsula (which appears to be playing a major role in the ongoing Yemeni insurrection) and al-Qaeda in the Maghreb. Al-Shabab in Somalia, a homegrown terrorist group, also appears to have links to al-Qaeda. The proliferation of these groups has underscored the U.S. military's concern for revamping its force posture along the lines described above. Whether its doing so is an overreaction to current circumstances—and is, therefore, another manifestation of "fighting the last war"—remains to be seen. Certainly the seeming irrelevance of al-Qaeda-type groups to the ongoing Arab upheavals, far more than bin Laden's killing, would seem to indicate that fighting irregulars may not be the major preoccupation of the U.S. military once it departs from Iraq and draws down in Afghanistan. Where Does the United States Go from Here? The 9/11 attacks have transformed the United States. They have had a major impact on the American psyche, much as the attack on Pearl Harbor had on the America of a half century earlier; in particular, they have led to a preoccupation with homeland security that evokes the World War II era. In the aftermath of 9/11, Washington has become enmeshed in the two longest wars it has ever fought and from which it has yet to emerge. The federal budget has gone from a surplus to massive annual deficits. The "war on terror" in Afghanistan, Iraq, and elsewhere, funded for years with non-budget items, has added approximately a trillion dollars to the national debt. The deficit has exacerbated the difficulties the United States faces in recovering from the severe recession of 2008-09. The U.S. economy is still the strongest in the world. So, too, is the U.S. military. The 9/11 attacks have certainly taken a toll and continue to do so. Nevertheless, it is important to bear in mind that despite setbacks and frustration, the resilience, patience, and determination of Americans led to the successful hunt for bin Laden. These are the same qualities that, in spite of all that has taken place since the Twin Towers fell and the Pentagon was hit, will serve the country in good stead as its population seeks again to enjoy peace abroad and prosperity at home. Dov S. Zakheim was U.S. undersecretary of defense (comptroller) and chief financial officer from 2001-04. He is a senior advisor at the Center for Strategic and International Studies, senior fellow at the CNA Corporation, and a member of the Commission on Wartime Contracting in Iraq and Afghanistan. "US Security Spending since 9/11," National Priorities Project, Northampton, Mass., May 26, 2011. The direct impact of 9/11 on the U.S. economy in terms of business interruption was $109 billion. See Adam Z. Rose, et al., "The Economic Impacts of the September 11 Terrorist Attacks: A Computable General Equilibrium Analysis," Peace Economics, Peace Science and Public Policy, vol. 15, no. 2, art. 4. CBS News, Feb. 11, 2009. The Guardian (London), Jan. 3. 2007. 9-11 Commission Report (Washington, D.C.: The National Commission on Terrorist Attacks upon the United States, July 22, 2004). George W. Bush, address to joint session of Congress, Washington, D.C., Sept. 20, 2001. MSNBC, Feb. 3, 2009; The Washington Post, Mar. 6, 2009. Adm. James G. Stavridis, U.S. Navy, commander, United States European Command, testimony before the House and Senate Armed Services committees, Mar. 29, 2011, p. 36. "Timeline: NATO," BBC News, Mar. 25, 2011. "Iraq: Foreign Contributions to Stabilization and Reconstruction," Congressional Research Service, Dec. 26, 2007, pp. 8, 12. BBC News, Jan. 23, 2003. Harsh V. Pant, "India's Changing Role: The Afghanistan Conflict," Middle East Quarterly, Spring 2011, pp. 31-9. P. R. Kumaraswamy, "Delhi: Between Tehran and Washington," Middle East Quarterly, Winter 2008, pp. 41-7. "India-Pakistan Sanctions Legislation Fact Sheet," Center for Arms Control and Non-Proliferation, Washington, D.C., accessed June 17, 2011. "Oversight of U.S. Coalition Support Funds to Pakistan," hearing before the Subcommittee on National Security and Foreign Affairs, House Committee on Oversight and Government Reform, June 24, 2008. SiliconIndia News (Bangalore), Dec. 16, 2002. Amitai Etzioni, "Mission Creep and Its Discontents: The Afghanistan Conflict," Middle East Quarterly, Spring 2011, pp. 3-15. ABC News, May 1, 2011; The New York Times, May 1, 2011. PBS News Hour, June 16, 2011. BBC News, Mar. 1, 2003. Rhoda Margesson, "United Nations Assistance Mission in Afghanistan: Background and Policy Issues," Congressional Research Service, Washington, D.C., Dec. 27, 2010; Natalie Mychajlyszyn, "Afghanistan: Reconstruction and Development," Parliamentary Information and Research Service, Parliament of Canada, Ottawa, Nov. 20, 2007. For U.S. contributions, see "Afghanistan Reconstruction: Despite Some Progress, Deteriorating Security and Other Obstacles Continue to Threaten Achievement of U.S. Goals," U.S. Government Accountability Office, Washington, D.C., July 2005. Dov S. Zakheim, A Vulcan's Tale: How the Bush Administration Mismanaged the Reconstruction of Afghanistan (Washington, D.C.: Brookings, 2011), pp. 232, 234. MSNBC News, Feb. 27, 2009. USA Today, Oct. 26, 2005. "Afghanistan: Post-War Governance, Security, and U.S. Policy," Congressional Research Service, Washington, D.C., Mar. 16, 2005. The Telegraph (London), May 2, 2011. Frank L. Jones, "Army SOF in Afghanistan: Learning the Right Lessons," Joint Force Quarterly, National Defense University, Winter 2002-03. Lt. Cdr. Brent Johnston and VADM John Richardson, USN, "Unmanned, Unseen, and under the Sea," United States Naval Institute Proceedings, June 2011, p. 43. "At What Risk? Correcting Over-reliance on Contractors in Contingency Operations," report to Congress, Commission on Wartime Contracting in Iraq and Afghanistan, Feb. 24, 2011. The Washington Post, Nov. 14, 2006; The Christian Science Monitor (Boston), May 18, 2006. Related Topics: US policy, War on terror | Fall 2011 MEQ receive the latest by email: subscribe to the free mef mailing list This text may be reposted or forwarded so long as it is presented as an integral whole with complete and accurate information provided about its author, date, place of publication, and original URL.